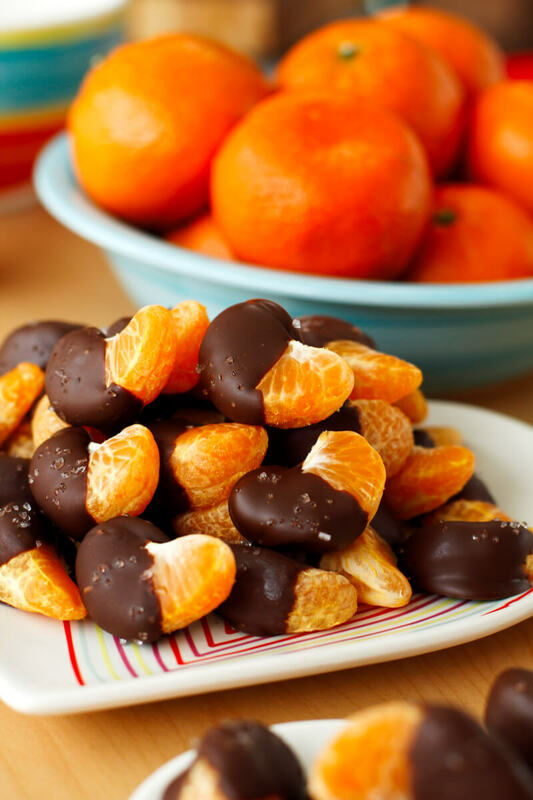 These 3-ingredient Chocolate Covered Oranges are so easy to make, you will want to eat them every day! With just a touch of sea salt sprinkled on top, they are sweet, salty, and absolutely irresistible! There is nothing that I like more than a recipe that is super duper easy and delicious at the same time. Sure, it's nice to labor over a 4-hour recipe once in a blue moon, but this momma's kitchen runs on quick and easy 99% of the time. 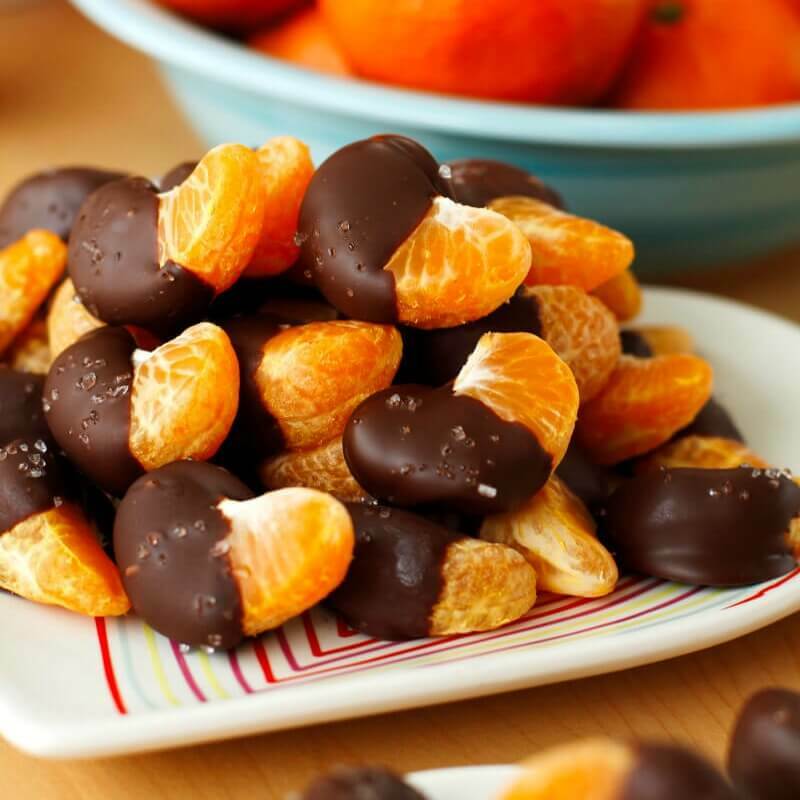 Let me tell you, friends, these chocolate oranges are one of the easiest dessert/snacks/treats you will ever make! We start with the oranges. Sure, you could use full sized oranges, but I go for quick and easy, remember? I get the easy-peel mandarin oranges! Bonus? No seeds. These little guys are so cute, right? I swear, no one can resist a little itty bitty bite-sized orange slice covered in chocolate. It's not just chocolate and oranges that make this recipe so yummy, though. It's that little sprinkle of sea salt that makes them extra special. The juicy citrus paired with the sweet chocolate topped with just a pinch of salt...it's like heaven. I think it's so fun to mix things up from the usual chocolate covered fruit. 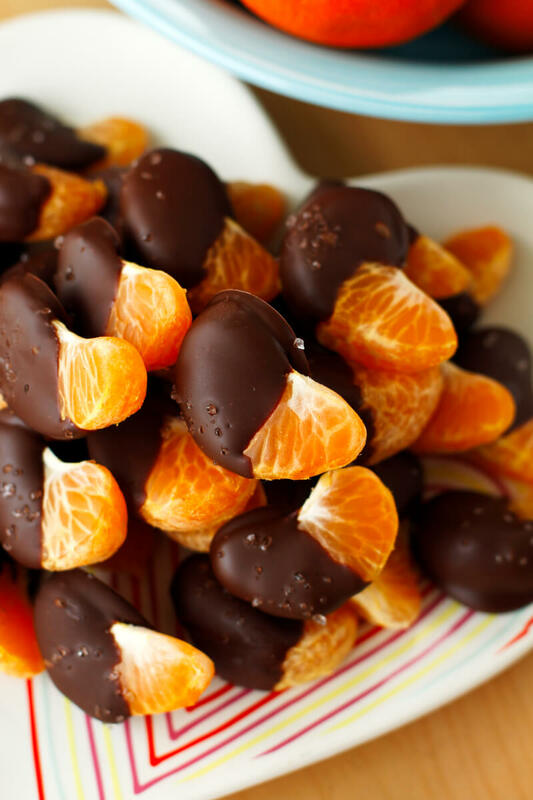 You see strawberries so often, but chocolate dipped oranges are just so much more intriguing. Why be normal when you can surprise people by thinking outside the box a little. 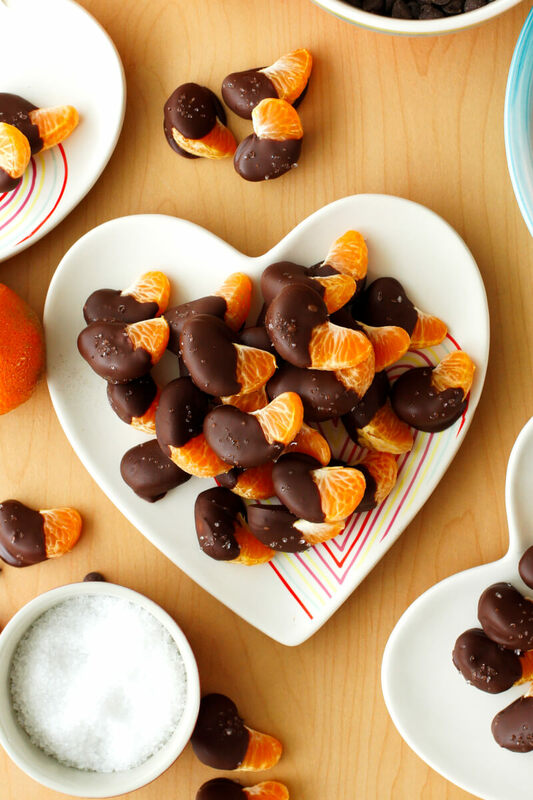 These chocolate covered mandarin oranges are sure to WOW whoever you are making them for! Don't have anyone to make these delicious little bites for? Treat yo-self. You will be SO GLAD you did! 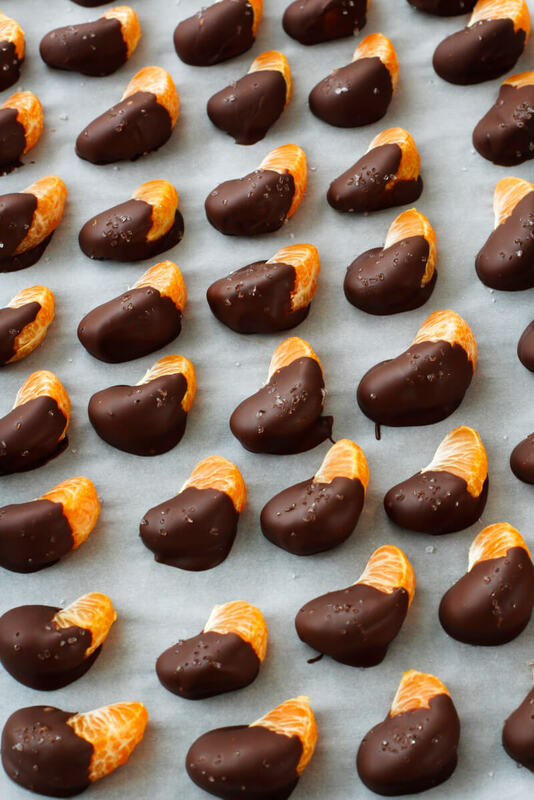 Here's a little video tutorial on how to make these chocolate covered oranges. Enjoy! 1. Peel and separate mandarin oranges into segments. 2. Melt the chocolate chips and coconut oil in the microwave in 30-second increments, stirring between each 30-second interval until just melted. 3. 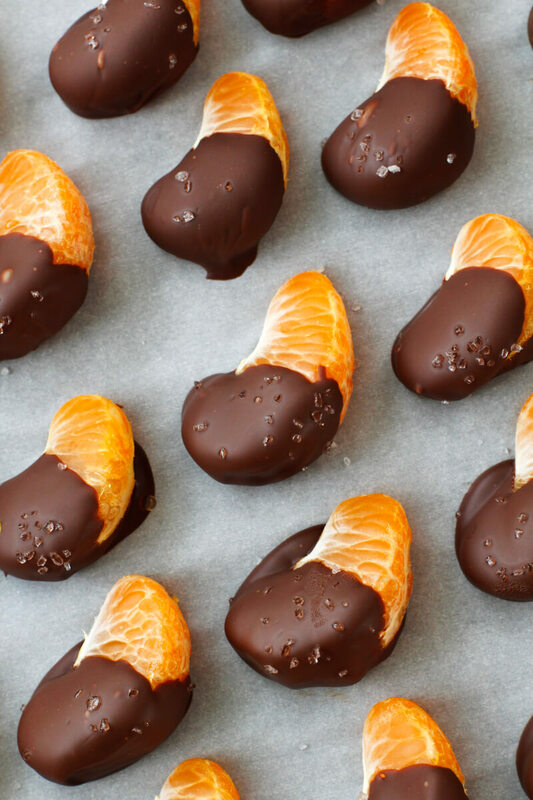 Dip the oranges in the melted chocolate and place onto a parchment-lined baking sheet. Sprinkle with coarse sea salt. Nutrition data should not be considered a guarantee. Please see our full Nutrition Data Disclosure here. Good, cheap, everyone will like it. Fondue on a plate. Yum!